Necessity is the mother of all inventions, or so they say. No where is this truer than in the realm of computer gaming. While games over the years have touched upon every imaginable subject (and even those unimaginable) there are still subjects that rarely see the light of day. 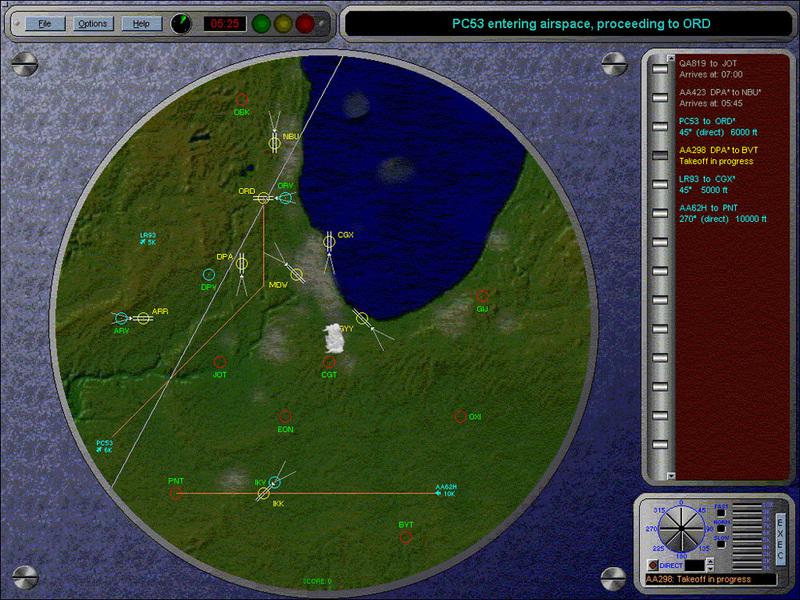 Such as air traffic control simulations. Ever since Br uce Artwick introduced computer users to the world of sim flying flight simulators have always been popular, and yet ATC games have been as rare as getting a real meal on a cross-country flight. So what's a guy to do if he secretly has the desire to direct traffic at a busy international airport? 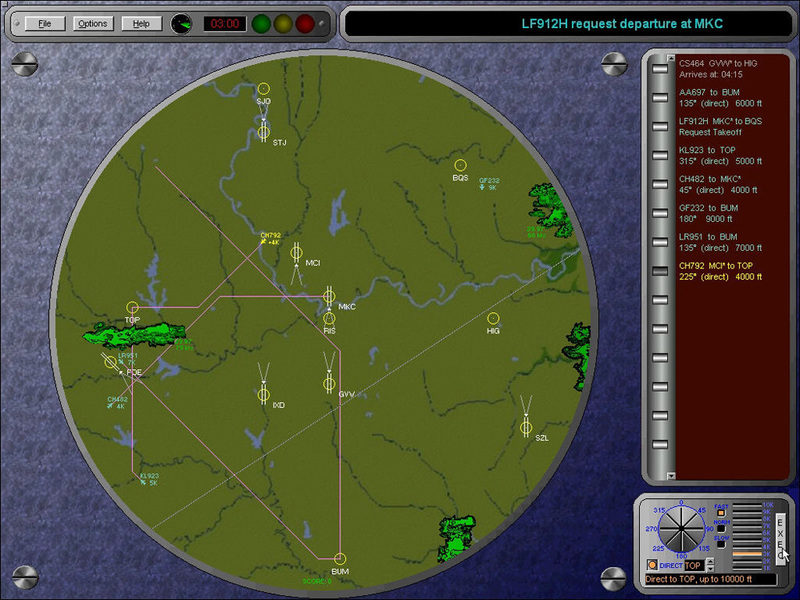 - Full featured game of air traffic control. 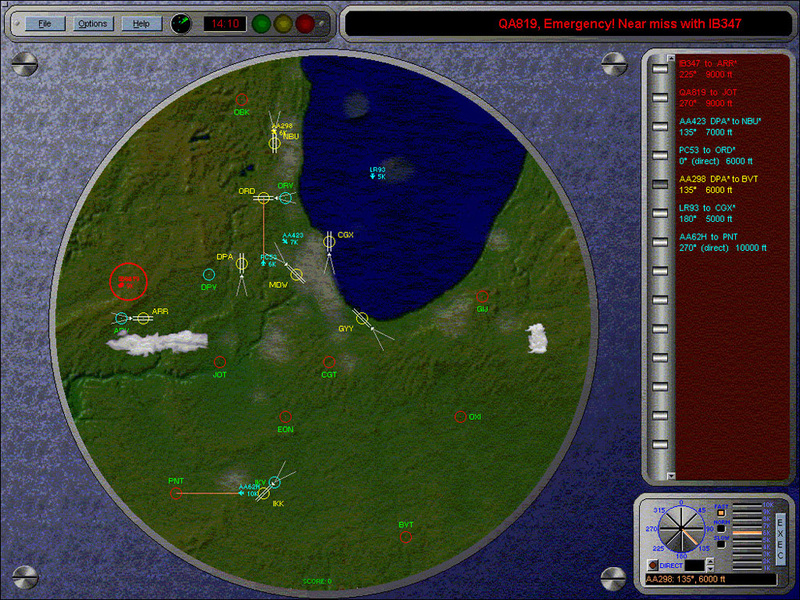 Direct in and outbound flights, while managing the scene on the ground from your radar tracking screen. Can you handle it or will the skies be filled with flaming debris? 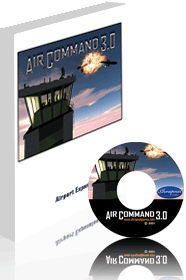 - Air Command 3.0 is draped in a rich atmosphere. Pilot voices are digitized so you can actually hear the pilots acknowledging your orders, or requesting clearance. 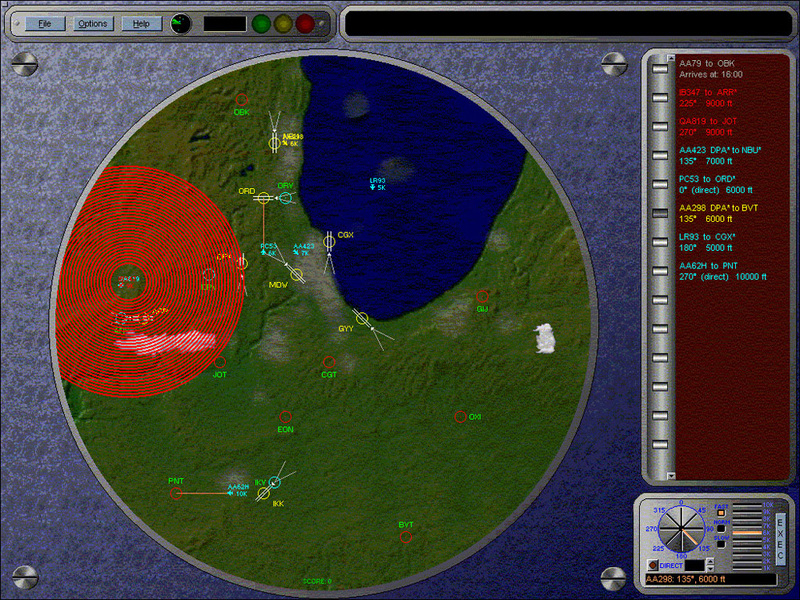 You even have the option of simulating communication problems between the ground and pilots. 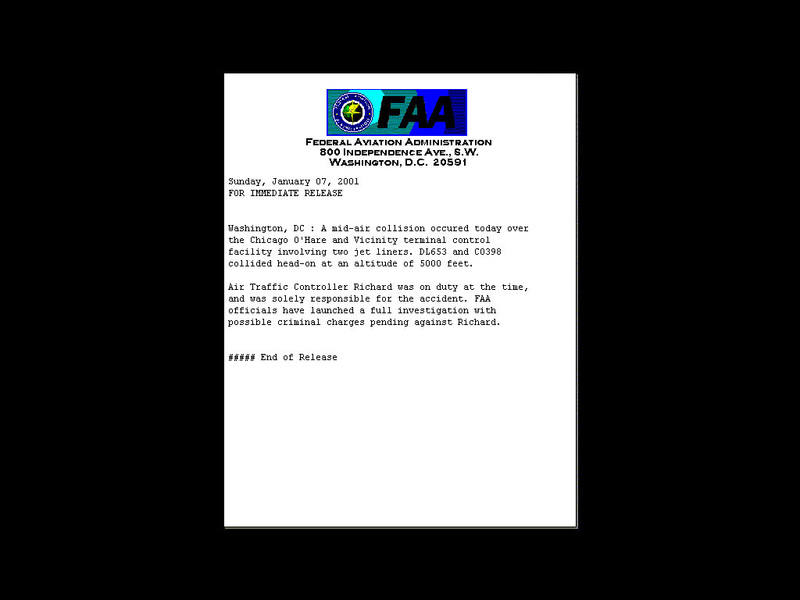 Pilots may not understand your directions, creating a tense situation as you struggle to correct their errors before you end up with a three-way collision. Additionally, background music is available as an option to set the mood. - Realistic weather conditions are part of the experience, with true-to-life doppler precipitation patterns. Imagine the air filled with jumbo jets, some of which are having problems following your instructions, and now a rainstorm is moving in. For some stress like this is part of the job, for you it's just part of the fun! 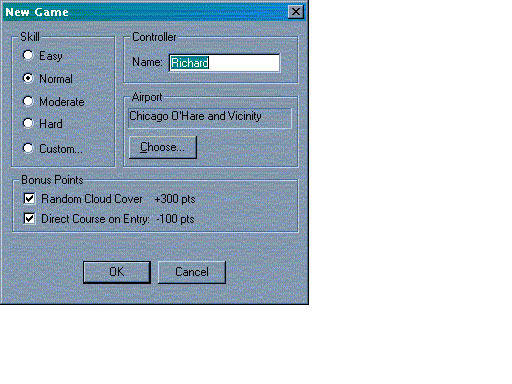 - An airport editor is included to create your own airports and share them with fellow users. 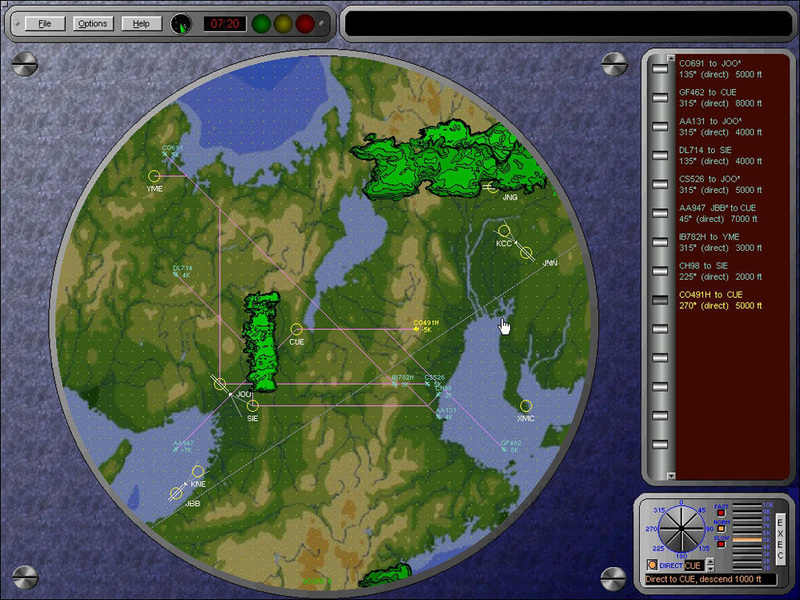 Easy to use, players can create everything from small town airports to massive international airports. An official airport expansion pack is also available. 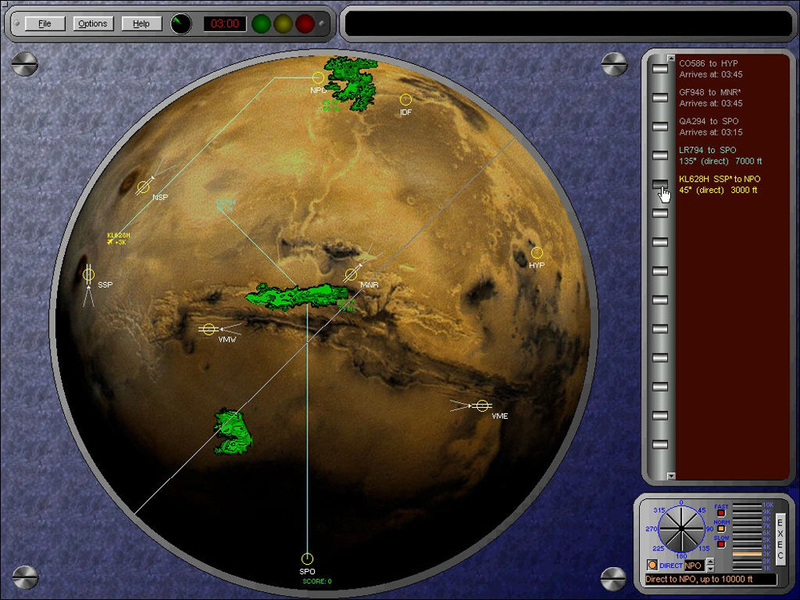 - Scenarios are playable in one sitting, making this the perfect game for people who want a thinking man's game, but can't devote weeks to finishing up one scenario. 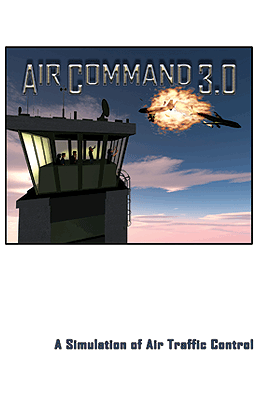 - Four scalable difficulty levels are found in Air Command 3.0, including an option to quickly generate new customized scenarios. Newcomers to veterans will all be able to find the sweet spot of difficulty they enjoy, and as they get better be able to ramp it up even more. - Based on a unique subject, Air Command 3.0 is a strategy game unlike any other. This is a game where winning means not causing mayhem and destruction. Players will find they need a little bit of cunning, a little luck, and lots of forethought. The ability to juggle also helps enhance the experience!